French manufacturing output increased by 0.6% in September, the French National Institute of Statistics and Economic Studies (INSEE) reported on Friday. 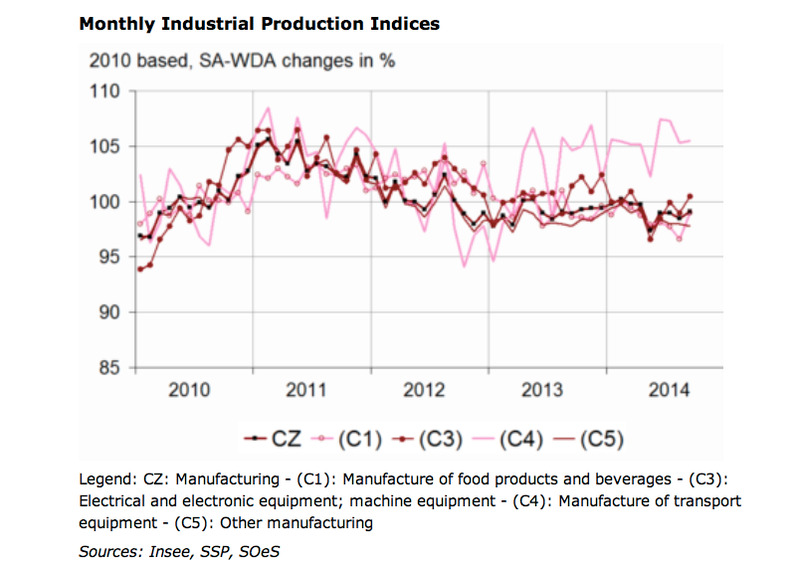 “Output remained stable in industrial production as a whole, after a slight decrease of 0.2% in August 2014,” INSEE said. Manufacturing increased in mining, quarrying, energy, water supply, electrical and electronic equipment, machine equipment, transport equipment, and coke and refined petroleum products. 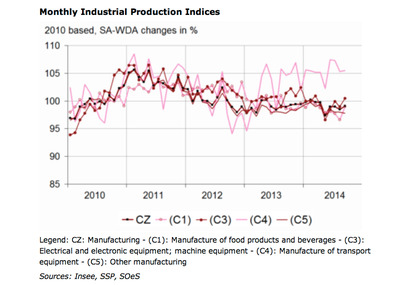 Food products and beverages saw a slight decrease.